Kenneth L. Henriott, Jr, 67, of La Porte, passed away on Wednesday, January 16, 2019 at Center for Hospice & Palliative Care. Born June 1, 1951 in Lafayette, IN to Kenneth L Henriott, Sr. & Sarah I. (Cundiff) Henriott. Kenneth lived most of his life in La Porte. Surviving are his children, twins, Heather A. Fisher (Kelly) of Knox, IN and Kenneth W. Henriott of Crown Point, IN, and daughter, Dawn L. Mason (Doug) of La Porte; grandchildren, Haley Eriks of Rolling Prairie, IN, Kamden and Kaysen Henriott of La Porte, IN and David Mason of La Porte; brothers, Floyd Henriott (Brenda) of Peru, IN, Doug Henriott (Robin) of Lake Wales, FL and Gregg Henriott (Chelsea) of Walkerton, IN; sisters, LaMoyne Slater (Bruce) of La Porte, IN and Pamela Simpson (Stuart) of Sioux Falls, SD; and many nieces and nephews. He was preceded in death by his parents; his maternal and paternal grandparents. Kenneth was a graduate of LPHS class of 1970. 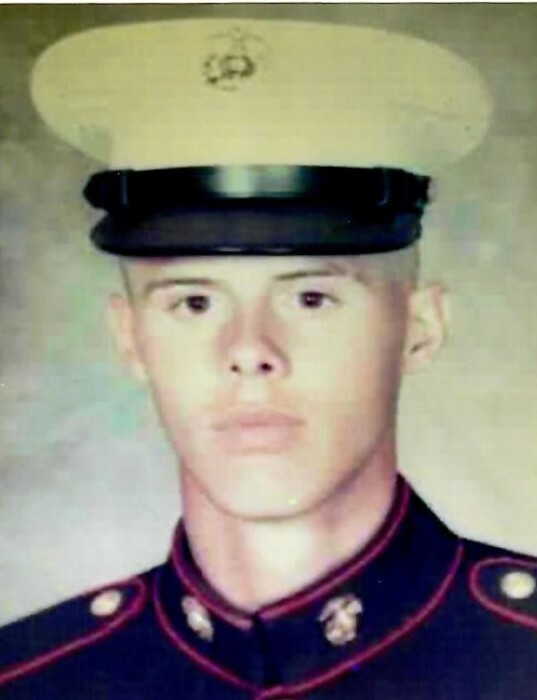 He then entered the US Marine Corp in 1970 and was promoted to Lance Corporal Aug 1, 1971. He received Honorable Discharge in 1972. He was a graduate of Indiana Law Enforcement Academy at IU/South Bend in 1974 and then joined the La Porte City Police Depart in 1974 retiring with rank of Corporal. Kenneth was a lifetime member of FOP #54, member of La Porte Nazarene Church. He was an avid fast pitch softball player (pitcher), and he coached girls softball for many years and coached boys baseball. A Celebration Of Life Service with Military Honors will be held at 3 PM (CT) on Friday, January 25, 2019 at Cutler Funeral Home and Cremation Center with Pastor Jeff Zigler officiating. A time of visitation will be held from 2 PM until the time of the service on Friday, January 25, 2019 at Cutler Funeral Home and Cremation Center. Memorial contributions may be directed to the family c/o Kenneth Henriott, 2900 Monroe St., La Porte, IN 46350.